There is a legend that this cake was baked by a lazy girl who did not know how to cook, but wanted to impress her future husband by her culinary skills. 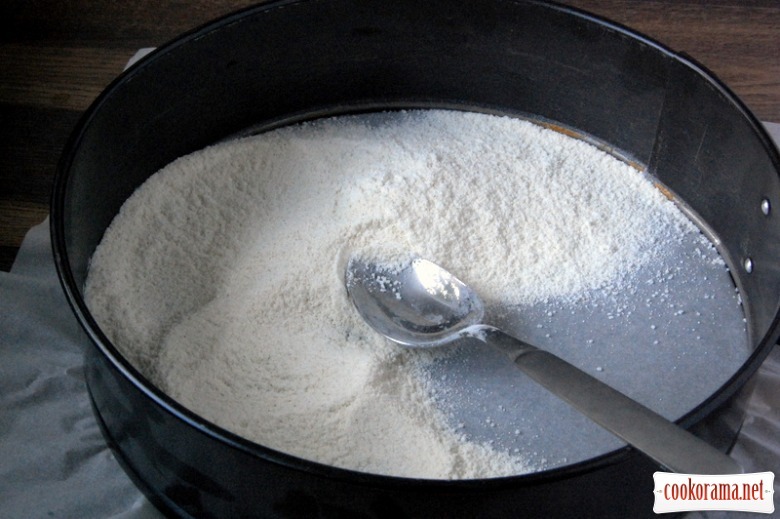 She mixed everything that caught her by the arm semolina, flour, sugar, baking powder. 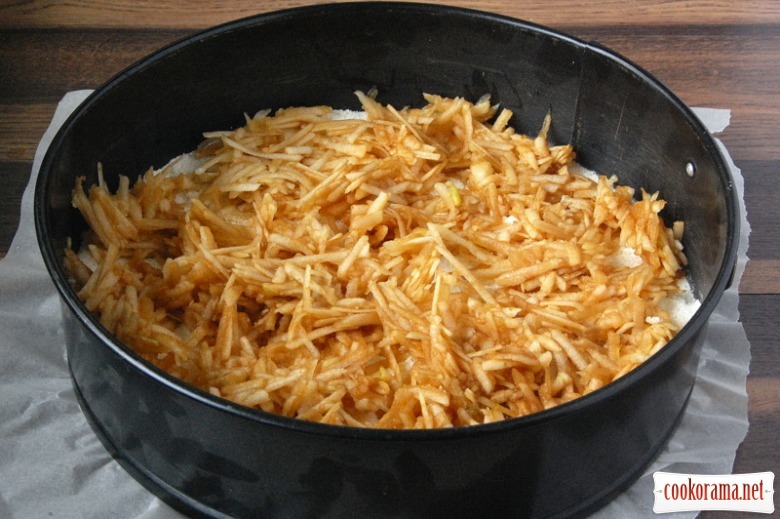 Add chopped apples and put the cake to bake. At the last second she remembered that the batter should still be not just a dry mix. And then she was in despair and pour glass of milk and went out of the house, not to be contempt. The young man, who appeared at a time when the house was overflowing by wonderful smell of baking, took the cake from the oven, tried and married a girl… because he liked the cake. 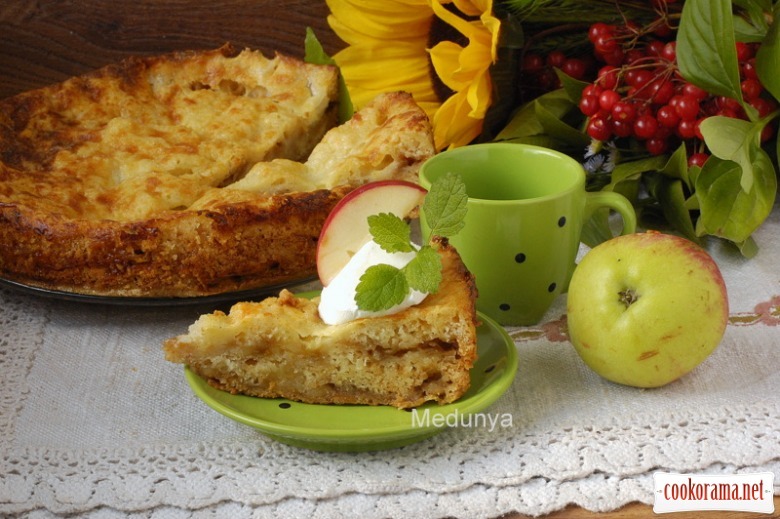 This cake with rich apple flavor, moist, creamy, fragrant. Prepared in fact in a few minutes, which is very good! 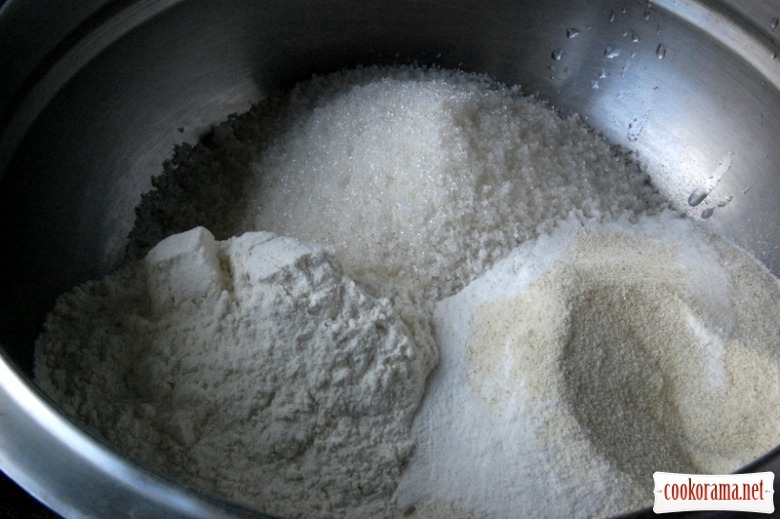 Mix in bowl sugar, flour, semolina, baking powder. Cover form (I got 22 сm in diameter) with cooking paper and pour 1\3 of dry mixture. Peel apples, grate it, mix with cinnamon and zest. On the dry mixture lay 1 \ 2 of apple mass. Then again, dry mass — apple mass — dry mass. 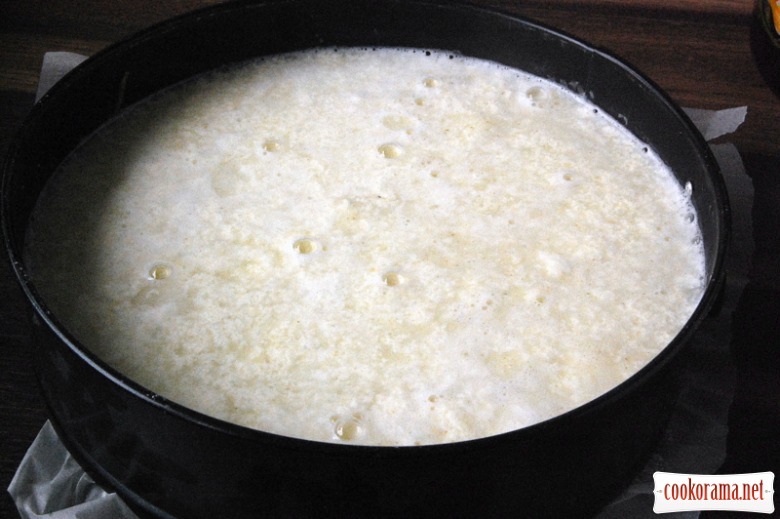 Above all, pour a glass of boiling milk, and pierce with knife all the layers so that the milk has gone well in holes. Bake for 45 min at 180 ℃. Serve warm with vall of vanilla ice cream. 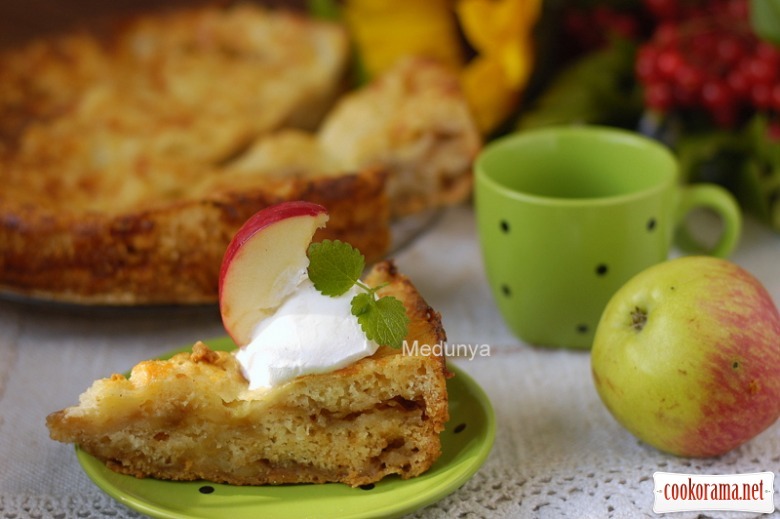 Top of recipe "Lazy Bulgarian apple pie"
Pie "Apples in a featherbed"
Нещодавно знайшла аналогічний рецепт vkontakte за єдиною відмінністю: поверх пирога викладається терте на крупній тертці вершкове масло і носить він назву угорського. Сьогодні спекла. Дуже і дуже смачно. За рахунок масла текстура виходить пухка і розсипчаста, а зверху — хрумка крупка. Я пекла цього тиждня обидва варіанти. «Угорський» виходить більш розсипчастим, але і більш калорійним. «болгарський» — з більш кремовою текстурою, вологий, дієтичніший. Обидва варіанти чудові по-своєму. Пекла такий пиріжок, але з вершковим маслом. Той, що угорський! Дуже смачно!!! Але ваш варіант мені більш подобається, бо якщо яблука будуть мало соковиті, без молока пиріжок сухим виходить!